Educator Parker Palmer speaks of the difficulties we face as teachers in the classroom and he notes that failing to reveal ourselves as authentic persons, instead of only as information disseminators, is at the root of the problem. Increasing professional responsibilities, student needs, and student discipline issues leave little time for reflection about our teaching or the inner-self and, even when some time exists, fear of revealing who we are may keep us from being “authentic” in the classroom. Needs for peace of mind in order to be more effective in the school environment. In addition, educators will explore how finding their own peace and centeredness can flow outward to assist in the psychological, emotional, and social development of their students. The facilitator envisions a collaborative, safe environment for exploring these topics and identifying implementation stages that will allow immediate, practical application. The two-day session will consist of lecture, audio-visual material, small group, and open group discussion. 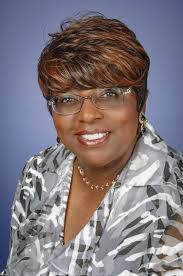 Dr. Hendrix is a university professor with over 30 years experience as a teacher in conjunction with administrative experience. She is an instructional communication scholar with a broad teaching range including argumentation, interpersonal and intercultural communication, and qualitative research methods. Dr. Hendrix is excited about her first visit to Thailand and hopes you will enjoy and benefit from her interactive presentation style. how to deliver lessons that stimulate, engage and motivate pupils, instilling a curiosity about and love for language learning. There will be a mixture of input, group discussion and activities, and delegates will be able to take from the workshop not only ready-to-use resources, but also the knowledge to enable them to plan and devise a curriculum which will establish a secure foundation for future language learning. A double graduate in Spanish and Latin American Studies, John Connor taught languages in inner city comprehensive schools in the North East of England and the Midlands, holding Head of Faculty posts before serving for 3 years as Adviser for Languages to a local authority. He has worked as a commissioning editor for a publishing house, and was a Team Inspector with OFSTED and an Assessor on the Advanced Skills Teacher programme for the Department for Education. He has also worked as a senior examiner with two major awarding bodies. 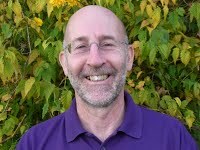 Since 1997 he has worked freelance, writing teaching materials in French and Spanish at all levels, running training seminars for language teachers, directing in-house staff development and conducting teaching and learning quality audits for modern language departments and schools across the UK, the Channel Islands, Europe, the Middle East and the Far East. As a consultant he helped several local authorities develop their Primary Languages programmes, conducting methodology training and language up-skilling sessions for non-specialist primary teachers. Consider the characteristics of outstanding MFL lessons in terms of planning, expectations, teacher expertise and assessment. Examine how to develop higher order thinking skills in language lessons and consider the role of Assessment for Learning in improving pupil outcomes. Explore how the use of new technologies can enhance language learning. It will also consider practical approaches to key issues such as developing the phoneme/ grapheme relationship, active learning, integrating languages into the wider curriculum, assessing pupils’ progress and the transition to the next phase of education. CLIL is an approach or method which integrates the teaching of content from a curriculum subject with the teaching of a non-native language. It’s considered increasingly important in our global society because knowledge of another language helps learners to develop skills in their first language and also help them to develop skills to communicate ideas about science, arts and technologies to people around the world. In a CLIL classroom, the curricular subject and new language skills are taught together; and thinking and learning skills are integrated too. CLIL teachers can be subject teachers, language teachers or classroom assistants. Different teachers have different goals that can be achieved through a high degree of cooperation, among them: language teachers need to learn more about subject content and subject teachers need to learn about the language needed for their subjects. The workshop will start by exploring the core features of CLIL methodology, and then go to examine lesson planning, a framework for CLIL lessons, how to exploit texts, deal with vocabulary, check understanding, correct errors and develop presentation skills in a climate of constructive critique. Delegates will take from the workshop not only examples of ready-to-use resources, but also the skills and knowledge to begin framing a CLIL-based approach to their own lessons. Step 1: Fill out the Workshop Reservation Form (LINK). Flow LearningTM, was featured by the U.S. National Park Service as one of five recommended learning theories, along with the work of Maria Montessori, Howard Gardner, John Dewey, and Jean Piaget. Greg Traymar has been personally trained by Joseph Cornell to head Sharing Nature U.S.A. and to share these principles. So far he has led the Sharing Nature workshops in many parts of the United States, as well as Portugal, Italy, Ireland, Australia, Thailand, Canada and Hong Kong. Effective strategies that engage students and minimize discipline problems.